This form is interactive and can be completed online. To do so, you must download the form and double click on the downloaded file. It will open in Adobe Reader, where you can complete the form, then SAVE IT. If it isn't saved after completion, the data will not be retained. 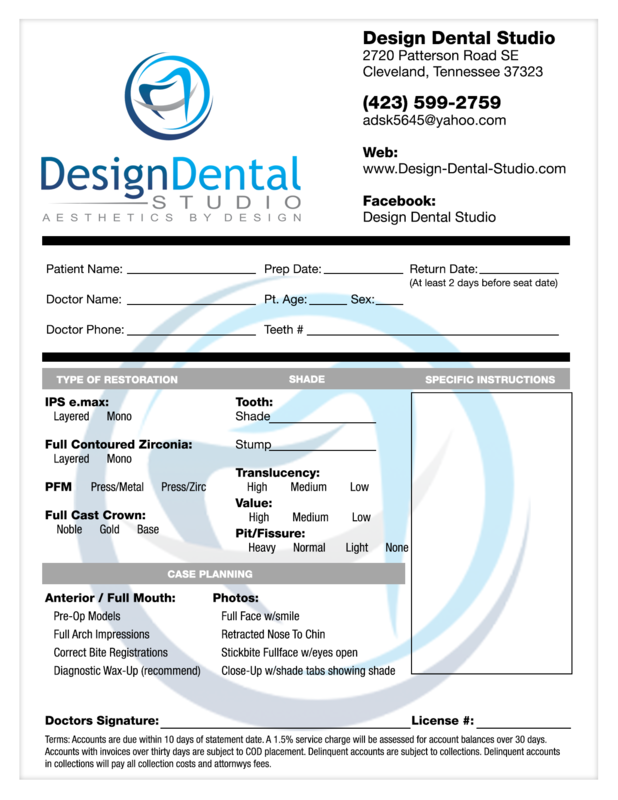 After saving the form, attach it to an email and send it back to Design Dental Studio at adsk5645@yahoo.com.